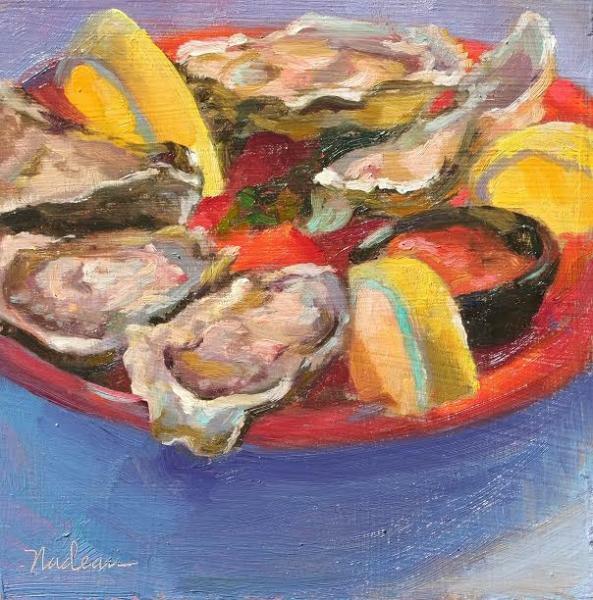 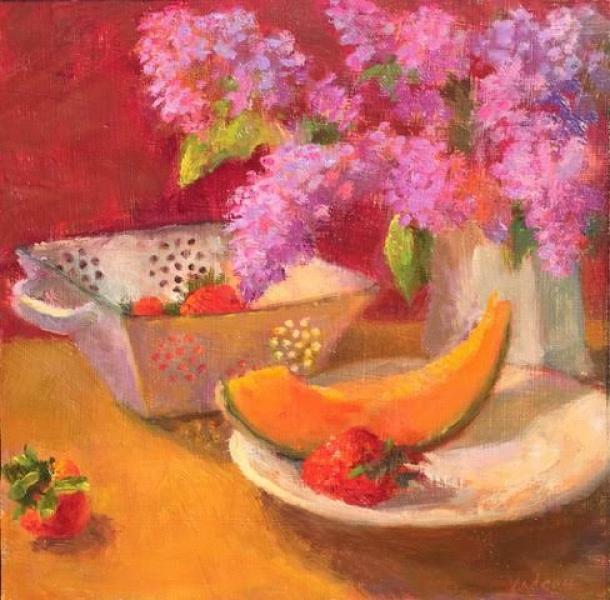 Rosalie Nadeau, born 1948 in Philadelphia. 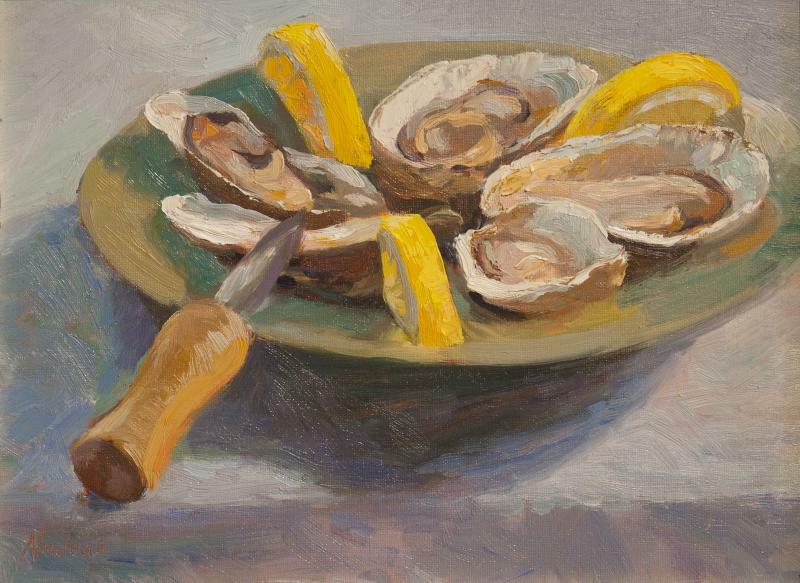 Raised in Silver Spring, MD, Nadeau recognized the call to be an artist as early as second grade. 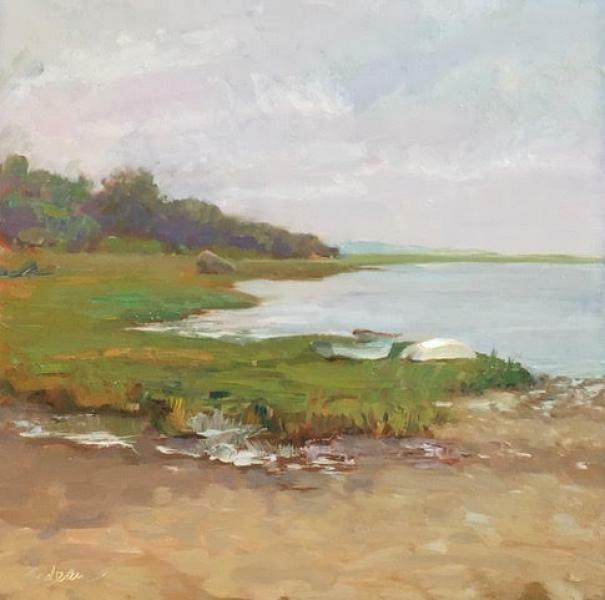 Having enrolled in various drawing and painting classes throughout grade school, she attended MICA (Maryland Institute College of Art) where she studied under Peter Hooven, Peter Milton, and Raoul Middleman. 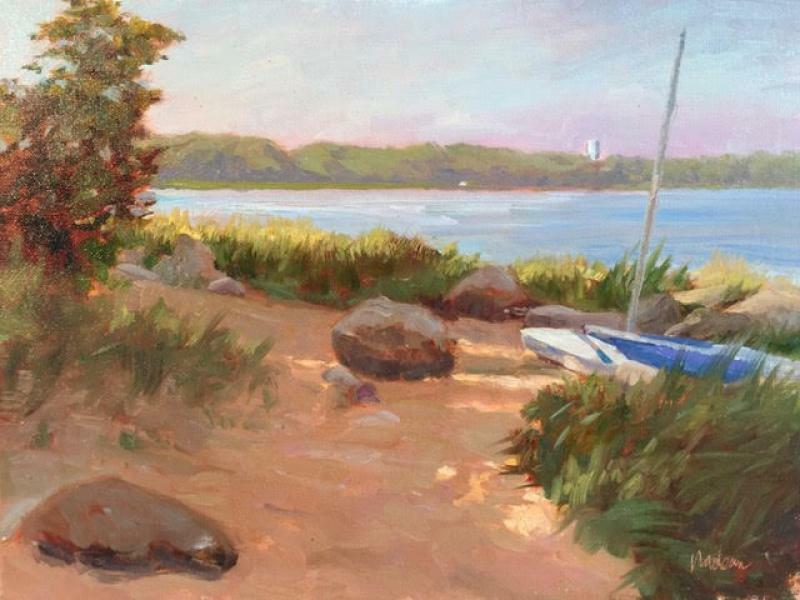 After graduating with a BFA in painting, she migrated to Cape Cod at the invitation of her ceramics instructor. 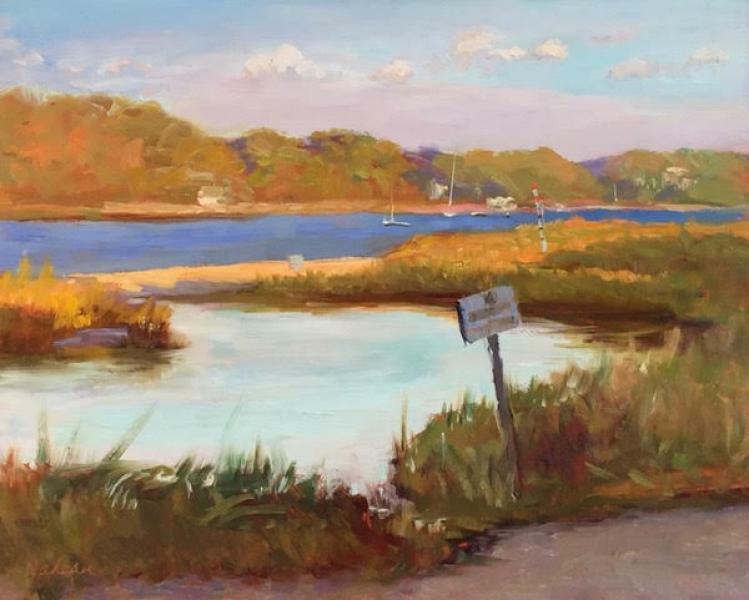 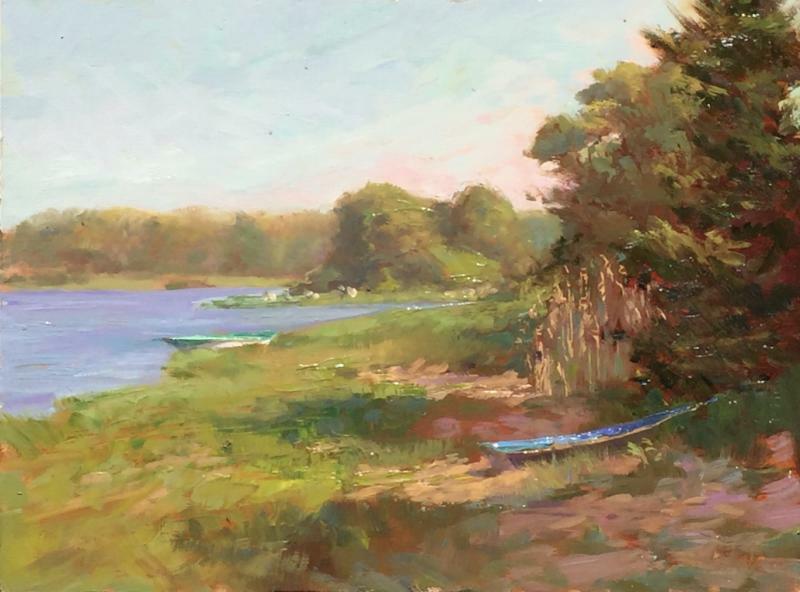 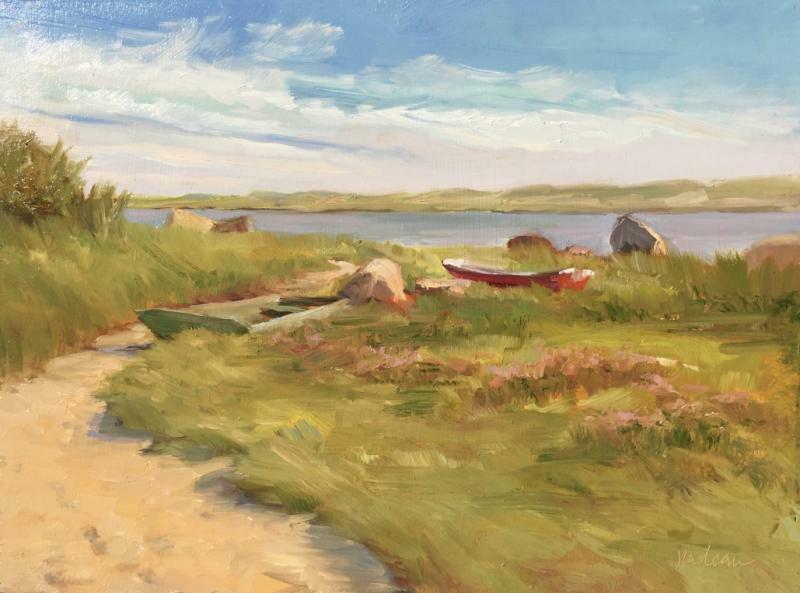 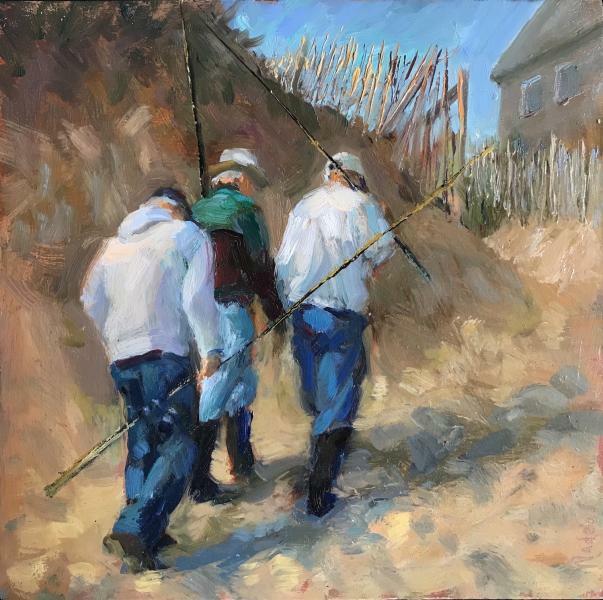 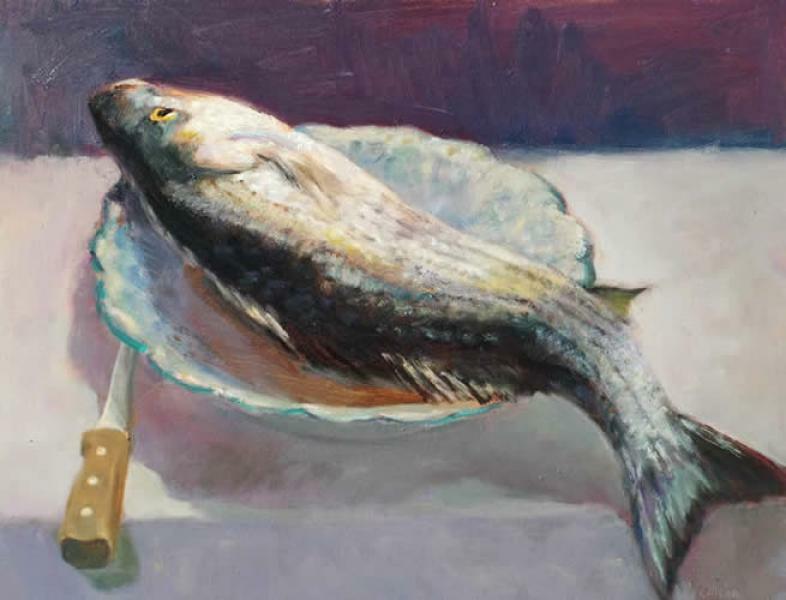 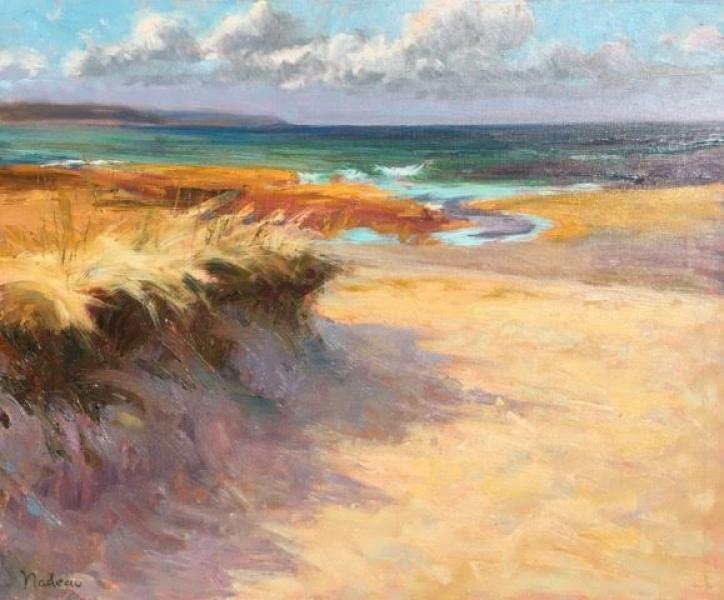 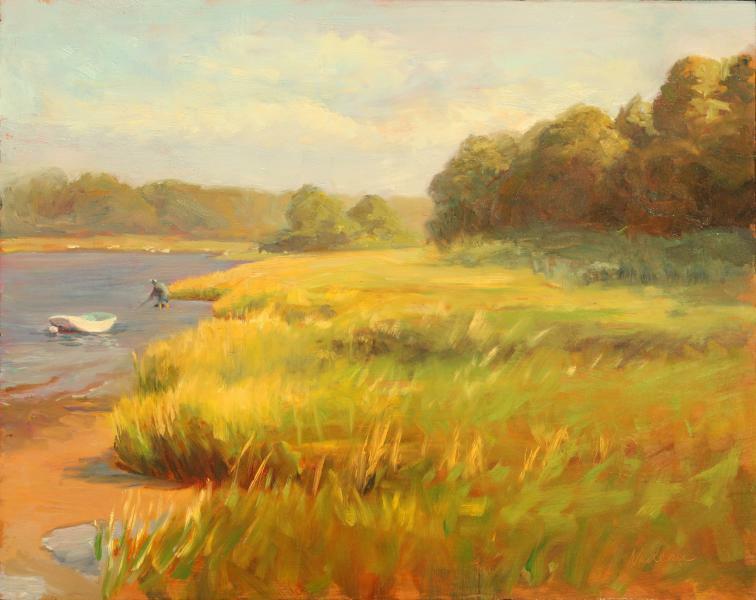 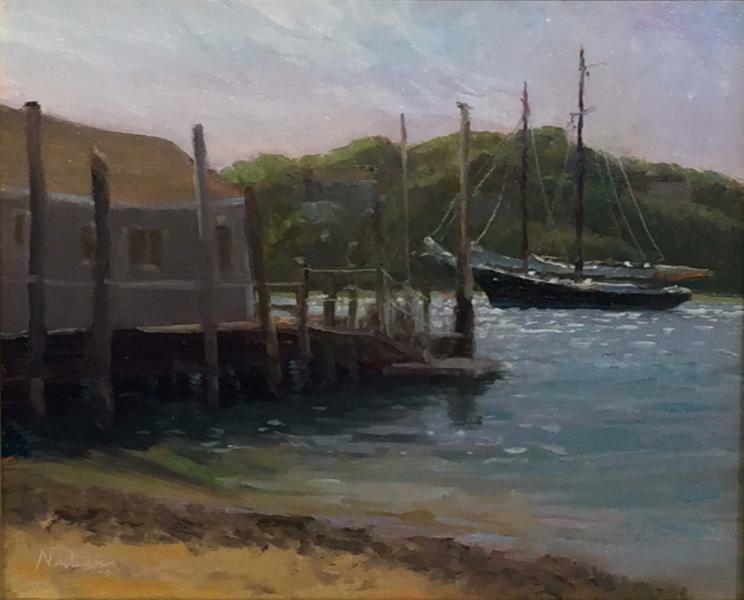 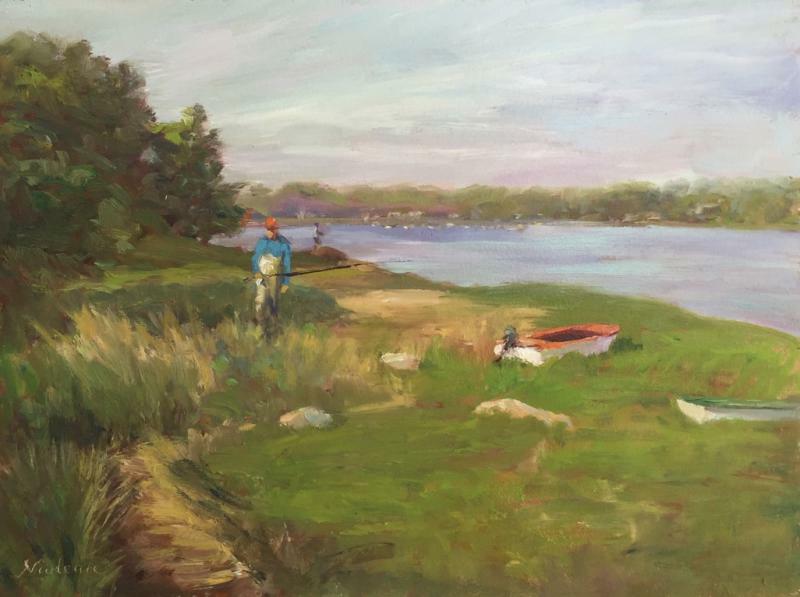 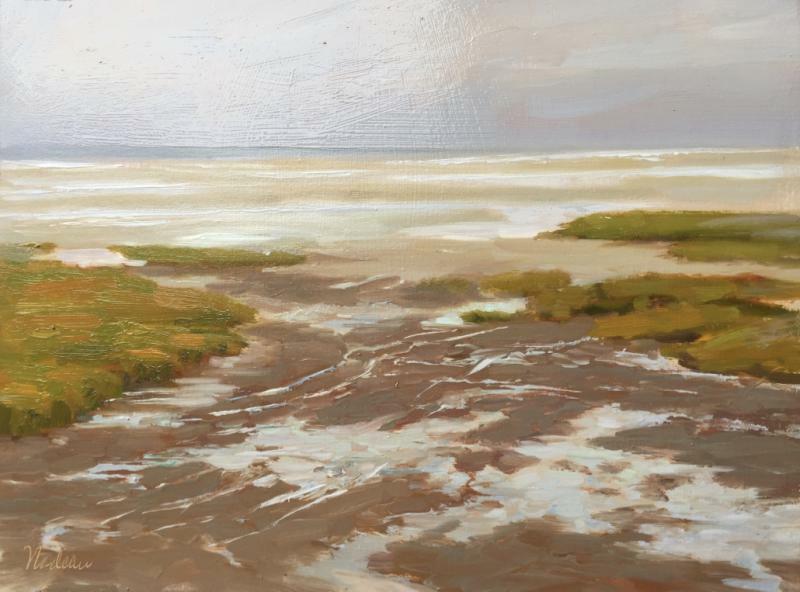 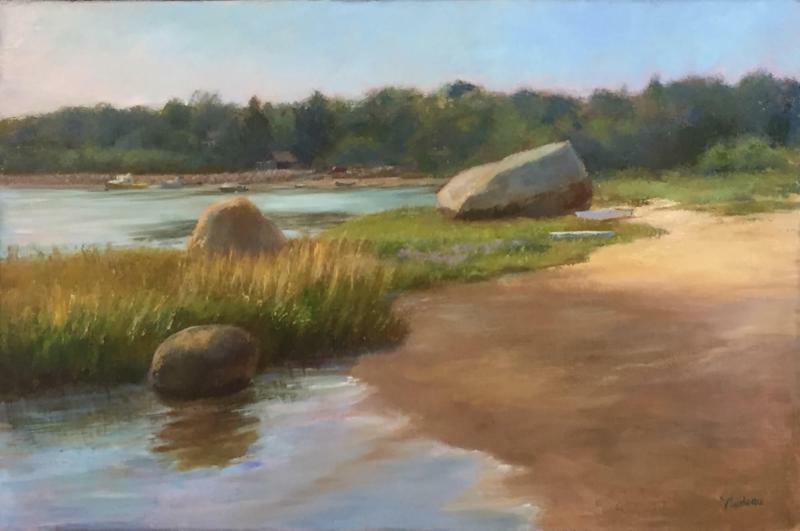 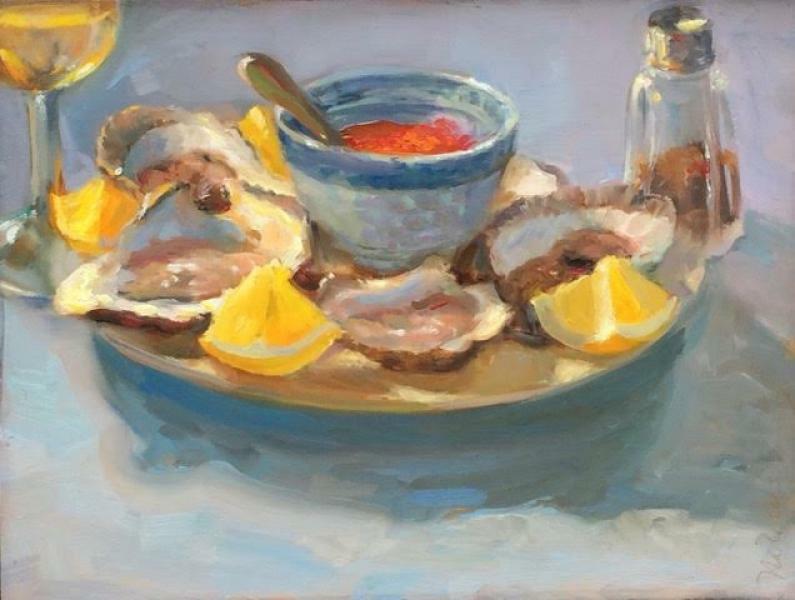 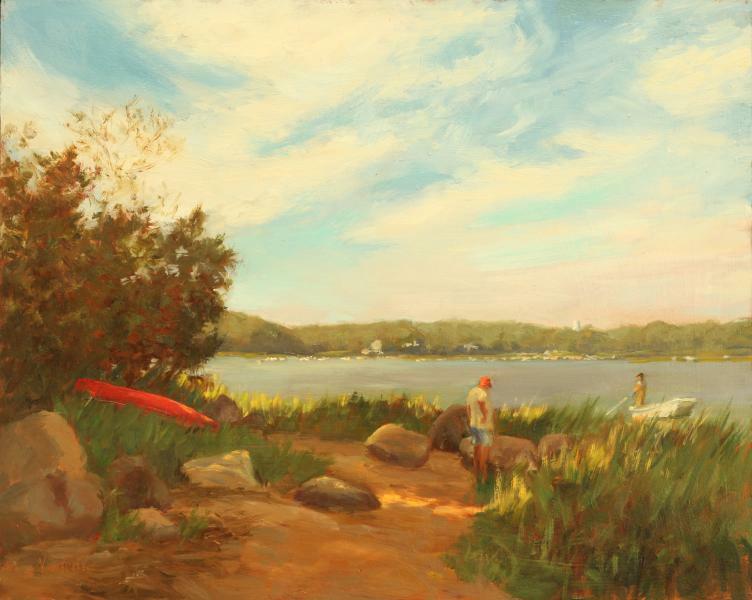 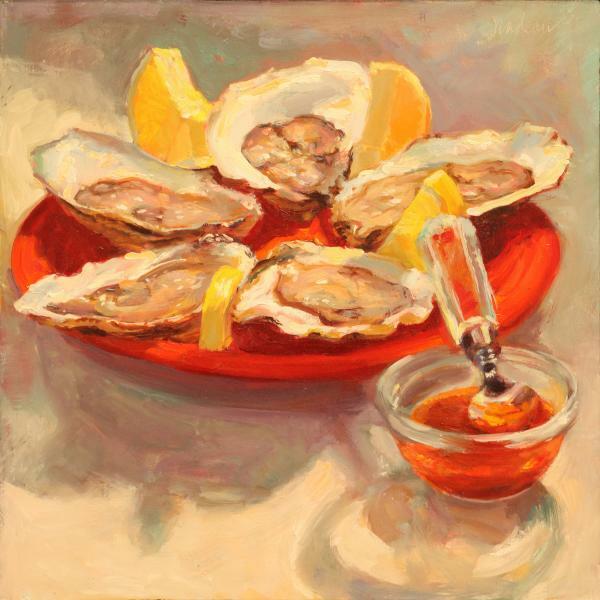 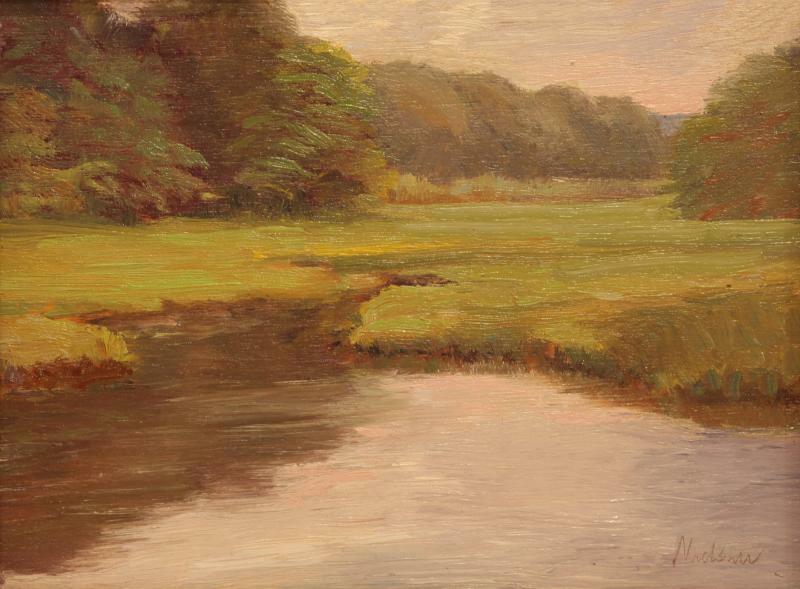 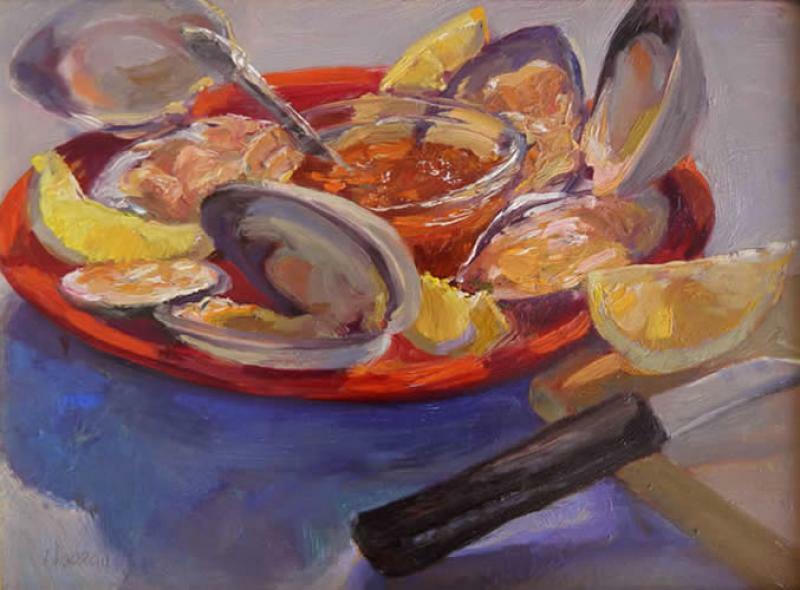 She worked for five years on fishing vessels out of Provincetown, and later traveled back there to paint with Lois Griffel, during which time she came to fully embrace the plein air tradition she practices today. 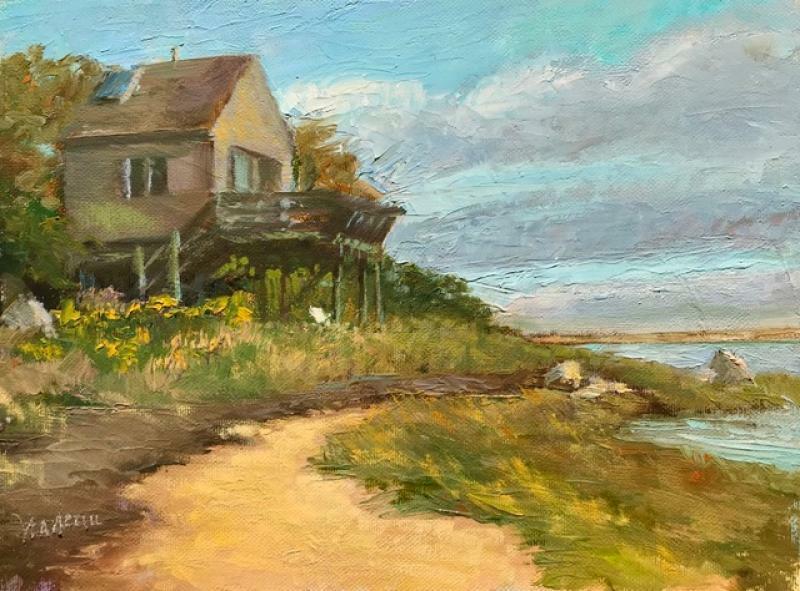 Enamored with Cape Cod’s pervasive natural light and sincere lifestyle, Nadeau built her home, and eventually her painting studio, in Orleans. 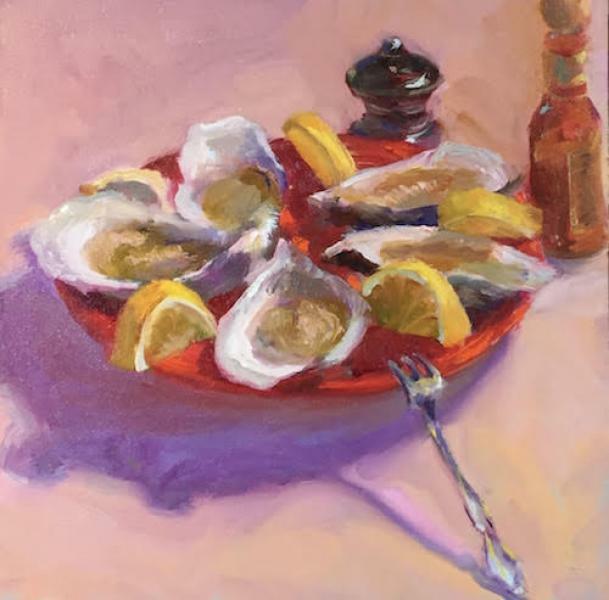 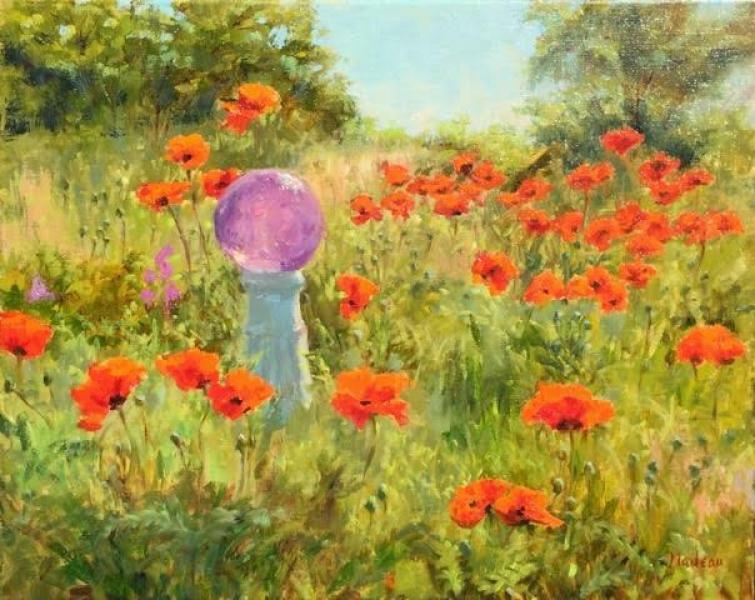 Rosalie Nadeau’s oil paintings capture their subject matter with bold, dramatic color (she is also an accomplished teacher and practitioner in pastels) and a luxuriously tactile paint application. 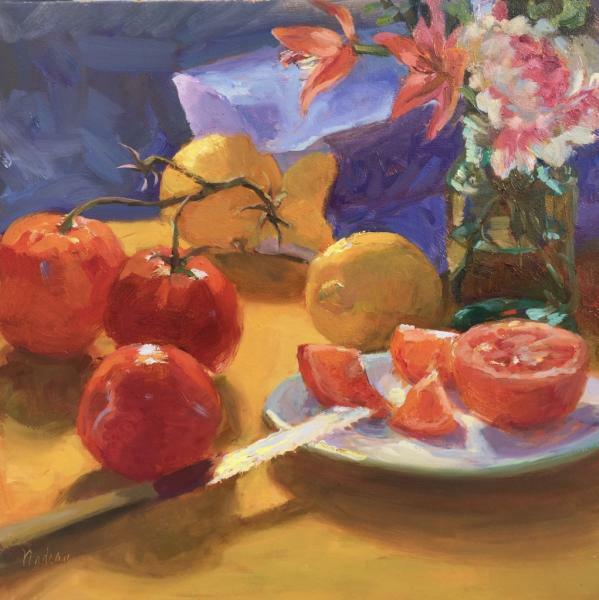 Her personal technique is a stylistic compromise, combining the light effects of Impressionism with a realist’s grounding in drawing and composition, resulting in paintings that are commendable for both their classical integrity and their passionate, expressive surface. 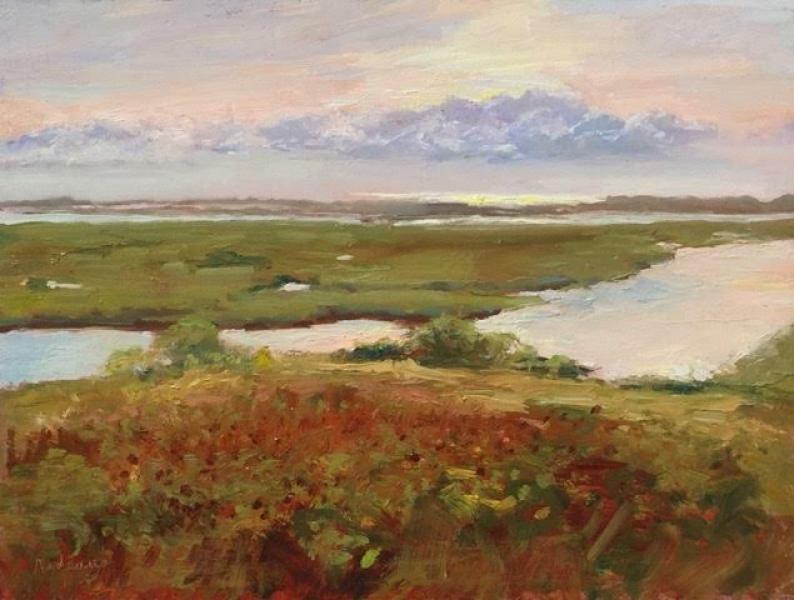 Whether depicting her experiences as a fisherperson during the 1970s, or a sunrise in the marshes of her own neighborhood, Rosalie’s paintings are a richly interesting portrait of life lived by the sea. 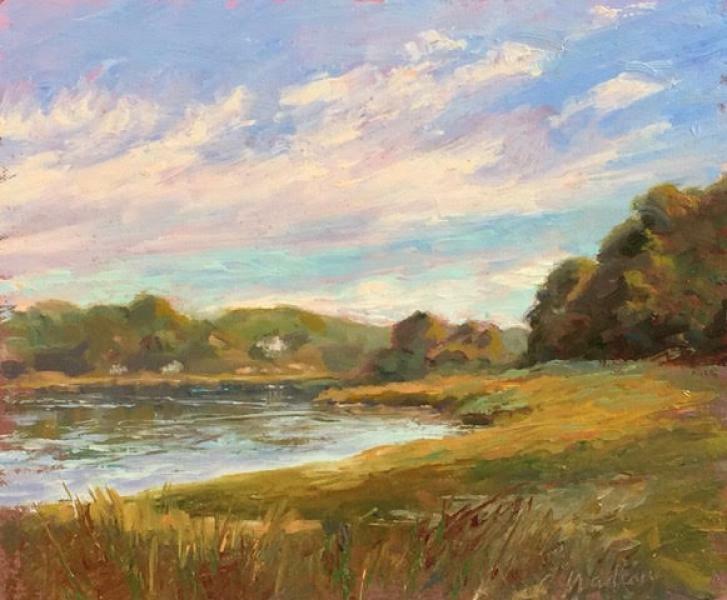 Often referred to as a “painter’s painter,” Rosie’s work has won the acclaim of her peers, and often a place in their personal collections, as well. 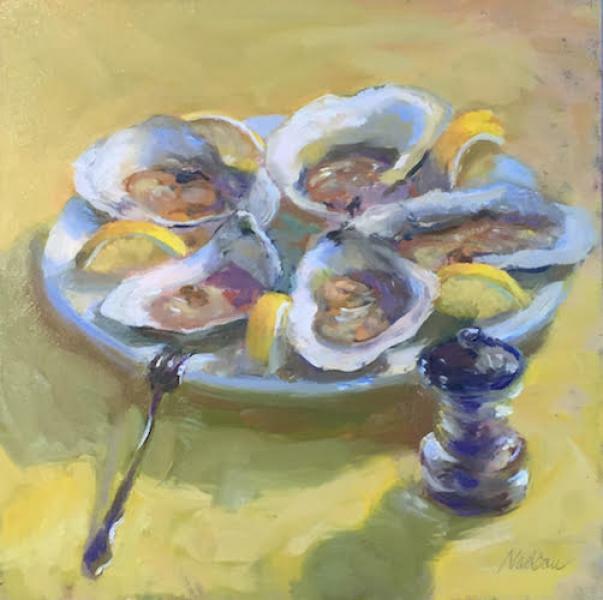 Nadeau’s paintings have been selected for numerous group and solo exhibitions, and are the recipient of many awards, among them the prestigious Purchase Award, the Janet T. Royce Award, and the American Artist Magazine Award from the Pastel Society of America. 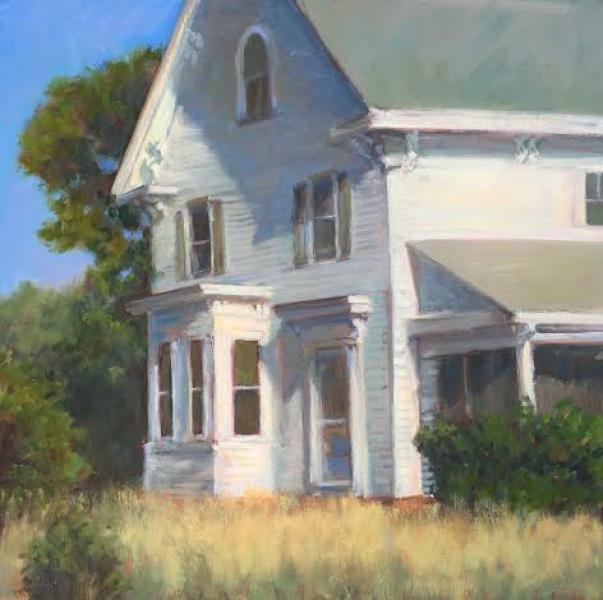 She has also been featured in several national magazine essays, as well as published in five international art books, including Painting the Impressionist Landscape and Painting Shapes and Edges.